New Zealand 441 (Ross Taylor 129, BJ Watling 65, Tino Best 4-110) beat West Indies 193 (Marlon Samuels 60, Kirk Edwards 55, Trent Boult 6-40) and 175 ( Kieran Powell 36, Edwards 35, Boult 4-40, Tim Southee 3-24) by an innings and 73 runs. The Black Caps hammered 441 runs in the only innings whereas the Caribbeans were dismissed for 193 in their first followed by 175 in the second innings. 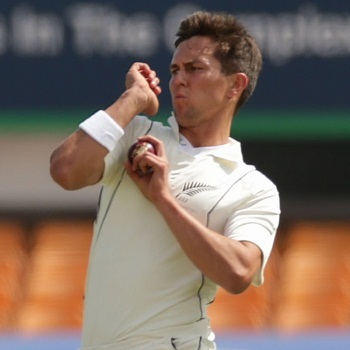 Trent Boult (New Zealand) was declared ‘Player of the match’ for his devastating bowling in the game. The second Test of the three match series concluded on third day (Friday) December 13, 2013, at Basin Reserve, Wellington. Earlier, the visitors commenced their first innings at 4-158 in 37 overs whereas Marlon Samuels and Narsingh Deonarine were unbeaten at 50 and 11 runs. 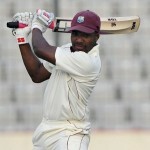 They took the score to 175 when the latter was gone for 22 and Samuels added the miseries when he was gone for 60. The incoming three batsmen were clean bowled by Trent Boult for a duck and the last man could not open his account. The entire West Indian side was dismissed at 193 in 49.5 overs and faced a follow on. Trent Boult was the star performer with six wickets whereas Tim Southee and Corey Anderson shared two wickets each. Kirk Edwards along with Kieran Powell provided their side a solid start by sharing an opening partnership of 74 runs. Tim Southee made the first breakthrough by removing Powell for 35 and Darren Bravo was gone without scoring. Edwards became the third victim at 85 at his personal score of 36 as the Black Caps bowlers took over again. Shivnarine Chanderpaul was the only batsman who made some resistance whereas the wickets kept on crumbling at regular intervals. 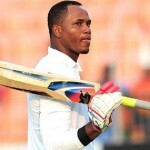 He remained unbeaten for 31 as the entire Caribbeans side went back to the pavilion for 175 in 54.5 overs. Trent Boult was once again the top wicket taker with four, Tim Southee held three, Neil Wagner got two whereas Corey Anderson chipped in with one wicket. 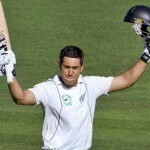 New Zealand won the second Test comprehensively by a huge margin of an innings and 73 runs and leads the series at 1-0.